Buy this beautiful Triple Diamond Afghan Runner which is best to use for bedside and in a corridor. It is woven by our skilled weavers in India and has taken 6-7 months to weave. It is a highly durable runner. Beautifully variations in color tone like a variation in maroon color and in blue color make a magnificent wool afghan runner. This runner gives a warm touch to your feet. Afghan carpet is used for controlling the human blood pressure. This indoor/outdoor area rug is hand loomed. 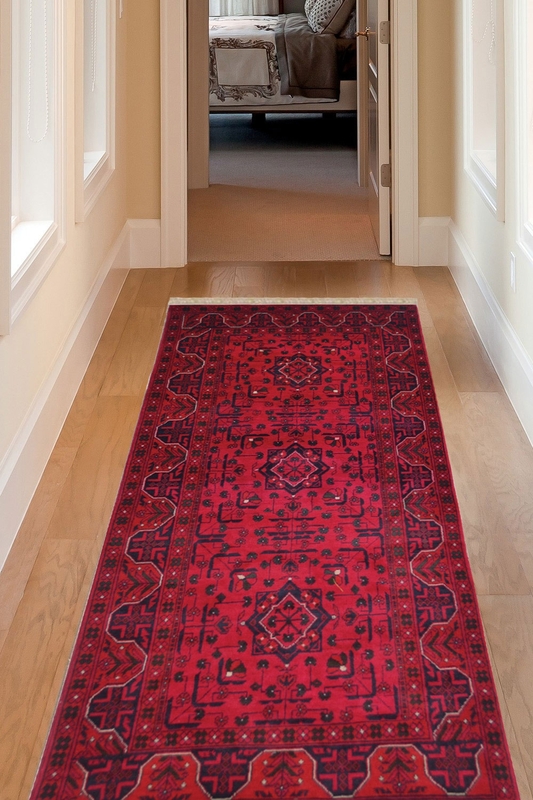 This traditional Afghan runner carpet has multi natural colors including maroon, blue in a random way to allow it to blend easily with any décor but the main color is maroon.